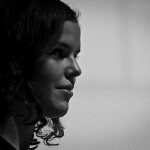 Anneleen Vanhoudt User Experience Architect Anneleen is specialized in user driven innovation. Hereby she combines her passion for user experience design with her fascination for innovation. She loves to facilitate creative workshops and by doing so, gets companies or organizations out of their comfort zone.